Our company for more than 20 years buys, contracts and sells mustard seed. In our offer we've got oriental, brown and yellow mustard seed. You can learn more about mustard seed on our site. The use of mustard seed is common in both the food, medicine and industry. Mustard seeds have a high nutritional importance. Aftercrop is a plant grown between two main crops. Aftercrop increases soil fertility and provides it with needed minerals. Mustard seed sale, purchase and contracting. Come to our online shop. You can get mustard seeds from anywhere on ours shop website. Yellow mustard seed: its used as spices. The hot, burning taste of mustard comes from the essential oil from inside the seeds. Brown mustard seed is used as condiment and also has medical application. Its colour ranges from dark brown to black. Oriental mustard: contain ttannin that makes a good environment for mites and bacteria Gram (-) and Gram (+) to grow and proliferate. We specialize in mustard seed distribution. 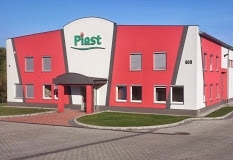 Production and Trading Company "PIAST" Jan Kołodziej is a polish company operating since 1990. From our early days we cooperate with farmers and production companies in terms of contracting, purchasing and supplying mustard seeds. Over the course of many years we have established reliable partnerships with production companies based in Poland as well as abroad, i.e. Czech Republic, Slovakia, Ukraine, Hungary, Canada and Germany. In order to meet the highest expectations of our clients our grain undergoes an additional cleaning process using state-of-the-art technology. Our offer includes: yellow mustard seed, brown mustard seed, oriental mustard seed, mustard seed for aftercrop, mustard seeds, industrial mustard seed, and mustard seed for therapeutic purposes. We are your go to supplier for all types of mustard seeds. Company friendly for internet users. We are pleased to inform you that our company has gained certificate of Company friendly for internet users. Soon we will present you our photo gallery of the sowing and harvesting of mustard seed. Yellow mustard seed - Spice is the seed of a plant widely cultivated in many countries. Seeds of yellow mustard has a sharp, burning taste that comes from contained there in essential oil. Mustard seed is not just an ordinary spice, this is the herb whose properties are valued for years in medicine, food and industry. See what properties have mustard seed. Brown mustard seed (Brassica juncea) is an annual plant, SPRING. As well as yellow mustard seed and brown mustard seed, oriental found its application in medicine. Yellow mustard has a bitter taste with which dishes receive characteristic tangy flavor. Mustard is an excellent component in blends of spices meats, sausages and salads. Our company since 1998 sells and provide mustard seeds for Polish and European producers of mustard and related products as well as individual customers!